Karkat Meme 1. 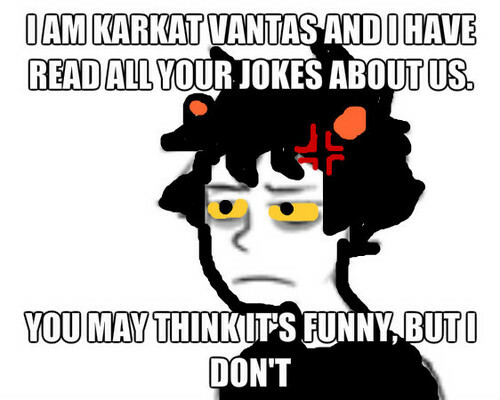 Karkat's Reaction to प्रशंसक jokes about buckets. Wallpaper and background images in the होमस्टक club.